Want to escape to sunny Orlando for a luxury vacation the whole family can enjoy? Save thousands on accommodations at Westgate Leisure Resort when you search through SellMyTimeshareNow.com's extensive inventory of discounted timeshare resales and rentals. 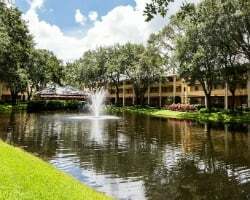 Conveniently located less than 20 minutes away from Orlando's most desirable parks and attractions is the stunning Westgate Leisure Resort. Enjoy a destination close to the Magic Kingdom, Epcot, Universal Studios, Disney's Animal Kingdom, and more while still being able to retreat back to the resort for peace and relaxation. Amenities offered on-site include two outdoor heated pools, multiple hot tubs, an exercise facility, and a game room. You'll also love the ease of getting to the theme parks with a free scheduled shuttle service offered by Westgate Leisure. This family-friendly resort offers great accommodations that are spacious and well-equipped. Choose between a one or two bedroom villa depending on how many you are traveling with. Villas feature kitchens, plush sofas, dining areas, private balconies and patios, and private bedrooms. Each offers bright, modern decor to make you feel right at home while providing you with a luxurious place to lay your head after a busy day in Orlando. 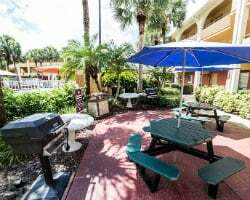 Start planning your Westgate Leisure Resort Orlando FL retreat today by filling out the form on the right of this page, or calling one of our friendly resale specialists at 1-877-815-4227. The most affordable and time-efficient way to enjoy Westgate ownership is to purchase a Westgate Leisure Resort timeshare resale. When you shop the resale market, you'll find low prices up to 70% off developer rates. This is because owners advertise their properties based on the timeshare's worth, whereas developers will add on extra fees and sales commissions that drive the price of the vacation ownership property up. This way you can still enjoy a quality Westgate resort experience without breaking the bank. Our inventory of Westgate Leisure resales features a selection of deeded fixed and floating weeks with annual and biennial usage. As a popular year-round resort, Westgate Leisure Resort timeshares reside within the Red and Gold seasons. Browsing these options at your leisure gives you the chance to decide what type of ownership works best for you without the pressure of a pushy salesperson. Westgate is known for its dedication to quality accommodations, top notch services, and a wealth of amenities at all of their vacation resorts and properties. With Westgate, you know you are getting the best travel and vacation experience possible. 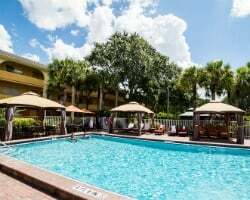 While Westgate timeshare ownership doesn't come cheap, there is a way to experience Westgate Leisure Orlando for a price that you can afford when you shop the resale market. Save thousands of dollars while still enjoying all that a Westgate Leisure Resort timeshare has to offer. Even though resale restrictions keep your from being able to internally exchange your timeshare, external exchange is an affordable and convenient way to exchange your week for a vacation a thousands of other destinations. Contact our specialists for full details. With a Westgate Leisure Resort timeshare, you have the opportunity to travel the world. All Westgate timeshares are affiliated with both top external exchange companies, RCI and Interval International. As an owner, you can choose to purchase a membership to one or both of these companies, giving you access to their vast networks of thousands of top vacation ownership resorts all around the world. You will never run out of new and exciting places to vacation with virtually endless options each and every year. Westgate Leisure Orlando has received the RCI Hospitality award for their commitment to great service, making it a more desirable property within the RCI network when it comes to timeshare exchange. Westgate Leisure Resort has a fitting name as it is the perfect resort to enjoy fun and relaxation with your whole family. Splash around the outdoor pools, or just lay out in the sun by them, work out in the fitness room, play in the game rooms, or get a volleyball game going in the sandy court. With so much to do nearby, you'll need some quiet time at the resort to rest up! Visit Walt Disney World Resort, Universal Studios, SeaWorld, the Mall at Millenia, and a wide variety of water and theme parks. Orlando is also home to great places to dine, plenty of live entertainment, and even some great nightlife. 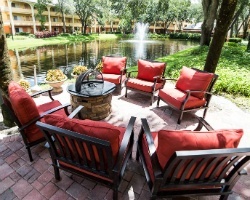 Your Westgate Leisure Orlando vacation is whatever you make of it! Already Own at Westgate Leisure Resort?